Posting content right in order to attract your target audience is vital, follow these basic tips to get started. The way people interact with marketing is changing, attention spans are getting shorter and more consumers are using dual screens – a mobile and a laptop – at the same time in order to multitask. So being seen by your target market is getting harder and harder. Getting the content right and when to post it out is vital. I recently listened to a video by Gary Vaynerchuk called Stop Storytelling Like it’s 2007. Gary discusses how the content itself needs to be modified to each platform used. One story, one visual is not enough to advertise on all platforms the content needs to be adaptable. Examples are such as those who visit Pinterest – this is usually for aspirational and inspirational content rather than a business advertising their services. LinkedIn is a professional network, where content needs to be kept in a professional tone and appeal to those primarily looking for business to business content. On top of this it is necessary to understand where exactly your audience is looking, understand who they are, what platforms they interact on more and even at what times. Knowing the answers to these questions can help you adapt your content to been seen better by the right people. There is no point posting hand knitted accessories on LinkedIn when your customers are going to be found on Pinterest or Etsy. 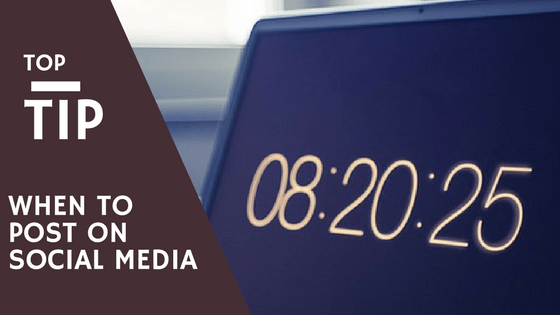 The same can be said about timing your posts correctly, business individuals who work a 9 to 5 job won’t be online at 10m in the morning and parents are less likely to be online between 6-8pm when its kids bed times. Finding the answers to the above questions can be a case of trial and error, sometimes what seems to work may suddenly stop working and the strategy needs to be re-evaluated. This can be true for all platforms and businesses, especially around school holidays and special events throughout the year such as Christmas and Easter where people’s habits change. There is no set perfect time and dates or even the perfect type of content in which to use, it all depends on the individuals you are appealing to. Many suggested timetables can be found online but there is no guarantee they will work, it purely is all about trial and error. Keep your brand the same but adapt your posts till you can obtain your optimum interaction level with your audience. Another thing is to consider the correct use of hashtags in your content, I have written an article on the use of hashtags and this can be found HERE. If you want some help understanding the analytics and insights of your posts get in touch and I will happily help.